Arizona is a great state to reside in! 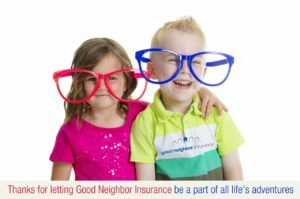 Good Neighbor Insurance office is in Gilbert, Arizona. Our GNI Arizona Team also enjoys working here in Arizona. We are part of the Phoenix Metro area here in Arizona. In fact, depending on the time of day, it takes around 25 to 45 minutes to get to the Phoenix Sky Harbor International Airport from our office. Our GNI Team meets each 9:15a.m. for a quick “GNI huddle.” This is a quick 2-3 minute stand up meeting in our kitchen (always good to have a meeting next to our Starbucks and Dunkin Donuts coffee pot) to connect with all of us here in our AZ office. One of the cool things we have started in this meeting is to throw out a word of the week. A random word where a few of us get to share what that word means to us in a short paragraph. Why do we do this? Well, didn’t you know that “fun” and “insurance” can be found in one positive sentence? If not, that means you have not connected with our great GNI Team of agents! Yes, we here at Good Neighbor Insurance are a fun bunch of humans for some reason love insurance. In fact, we love it so much we want to spend a third of our lives sharing the great news of international travel and medical insurance to all throughout this wonderful world of ours. So this week we decided to share the fun with you and talk about this wonderful state we live in, Arizona! Yes, it can get mightily hot. Many say it is a dry heat. It is! But when the heat bakes your eyebrows and causes you to have blisters on your hand when you open up your car door in the middle of July it really doesn’t matter if it is a dry or humid heat. Why? Because it is just hot! But I rather suffer 3 months of hot then 6 months of snow any day. At least we can say that as we enjoy the AC blowing on our backs. 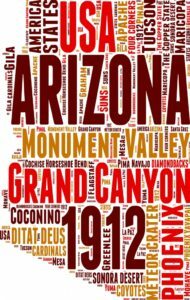 Troy – I love Arizona; it is a great place with great intense heat during the summer and the little lack of heat in the winter is not frigid, which I also enjoy. In Arizona, having grown up here, it feels nice to go outside and get some sun and feel the burn. It is a general rule, when getting into a car, don’t touch metal for longer than .13 second. Overall, Arizona’s heat makes it great for swimming, doing outdoor activities year-round down low and up high and provides a dry set of months to roast for the inhabitants to enjoy (except days of monsoon season, humidity is annoying)! Yes, when we think of heat we also think of elevation. The higher we can go to escape the heat (mostly in the Phoenix area and south of Phoenix) in the summer the happier we are. Did you know that Arizona is 70% non-desert? In fact, when you drive 30 minutes north of Phoenix you start going up in elevation. Sedona is a great tourist stop about 4,000 feet elevation. About 45 minutes north of Sedona is Flagstaff which runs around 6,000 plus feet in elevation. And yes, we are proud to say the Grand Canyon is one of the seven natural wonders of this globe of ours which is located in the northern part of Arizona. Jeanne – I could not live in Arizona without elevation. It is the surprise factor of Arizona that an immigrant learns to treasure. The surprise is that elevation can be discovered where you might least expect it. There are pine trees and waterfalls in the center of the Superstition Mountains, when you arrive at sufficient elevation. The top of Mt. Lemmon of Tucson offers another elevation surprise with its rich groves of Blue Spruce pine and fern ground cover. While walking along a trail near the top of Mt. Lemmon, a person is reminded of similar lovely hikes in the Pacific Northwest area. Yes, Arizona does have her share of deserts. In fact we have three major distinct categories of desert here in Arizona. We have the deserts of the lower Colorado river, the Mojave desert, and the Yuma desert. There are smaller desert groups here in Arizona such as the Lechuguilla desert, the Sonoran desert, and the Painted Desert. Did you know that there are roughly 21 different types of deserts in this world? I sure did not know that. And yes, even though many deserts have a hot climate not all deserts are that way. There are some deserts that even have regular snow falls in the winter. Karen – Some people don’t realize how beautiful the desert is. Coming from Ohio, it took me a few years to appreciate the beauty of the desert. When the monsoons hit and the cacti bloom, you see some amazing flowers. Native Americans found ways to use the fruit of the cactus and the beans from the Mesquite tree to survive. We have some of the most awesome sunsets in the country since we don’t have trees obscuring the horizon. They are amazing. On the rare occasions when it rains, we often have wonderful rainbows as well. One must respect the desert as it is easy to become dehydrated on what you think is a short hike.